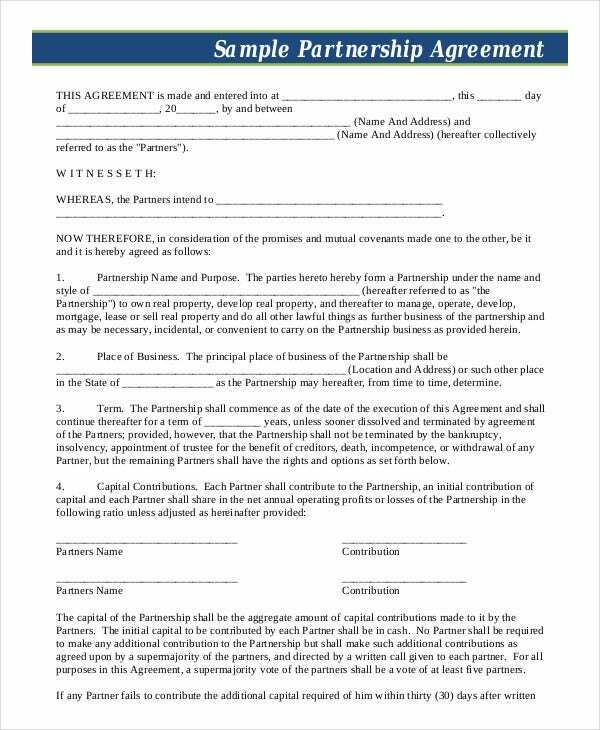 A partnership sample agreement template is a contract between two or more partners of a business firm which sets out the terms and conditions of the relationship between the partners that also include the percentage of ownership and distribution of profit and losses. It is a legal document that determines the right of each partner contributing in the business. 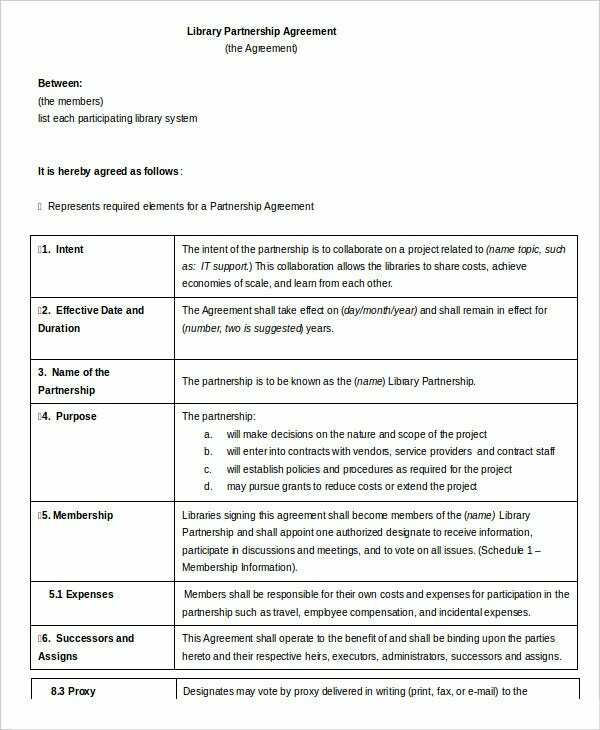 For your convenience, we have made a collection of few Partnership Agreement Templates. Check them out as they will help you in preparing yours. 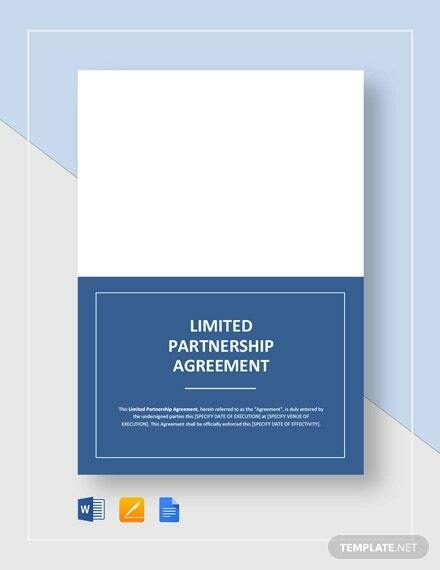 Limited Partnership Agreement Template should be used when you want to get into a partnership with somebody or some firm for a limited period. 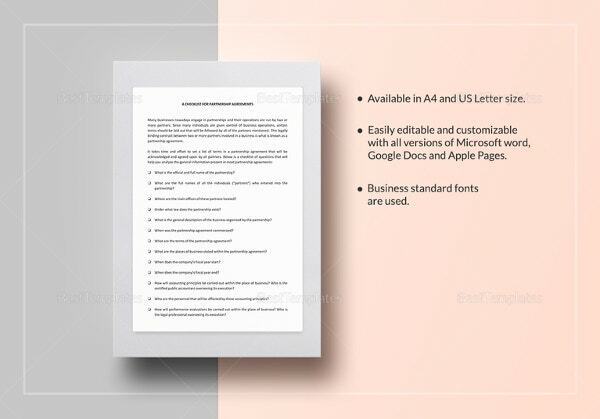 All the required information is mentioned in the template and you can easily use this print-ready template. For working on a joint venture in the real estate, a partnership agreement is very essential. 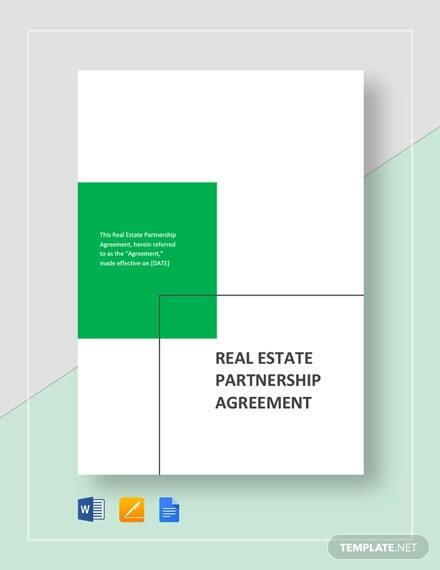 Our Real Estate Partnership Agreement Template has been created for this purpose. This is available in PDF file format and is print-ready as well. 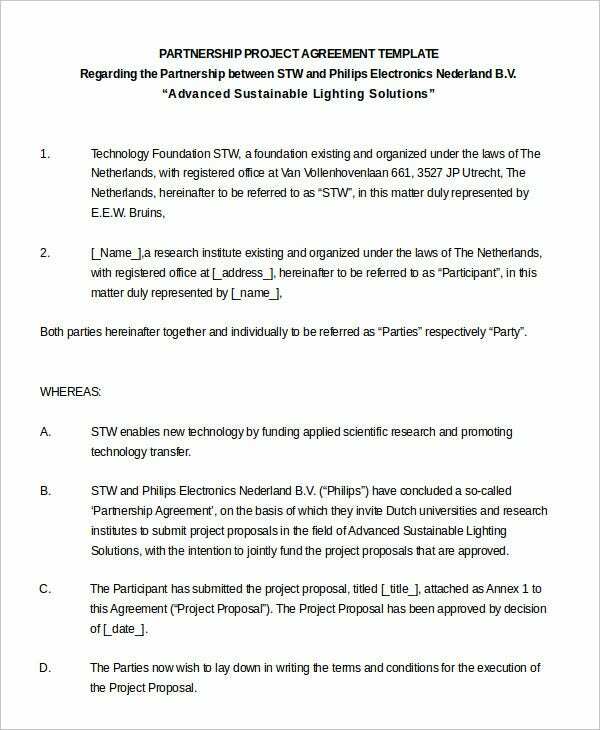 If you want to get into a partnership for a joint venture with another company, you can use this template. It has all the necessary terms and conditions, and you can even add your terms and conditions as per the decision of the partners involved. 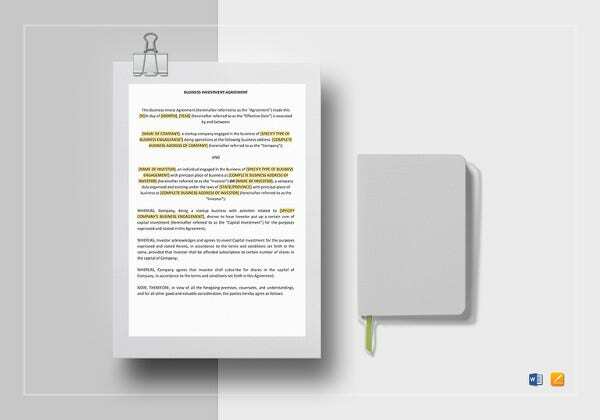 > What Are The Uses of Sample Partnership Agreement Template? 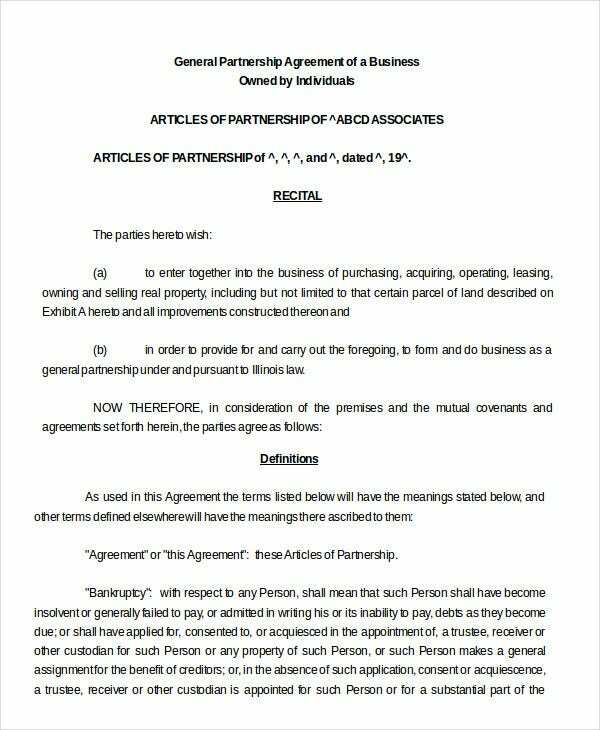 A partnership agreement is used for creating a partnership agreement between the probable business partners. If you intend to kick off a business with a person whom you have known for a long time, the first and foremost thing that you should do is create a partnership agreement. 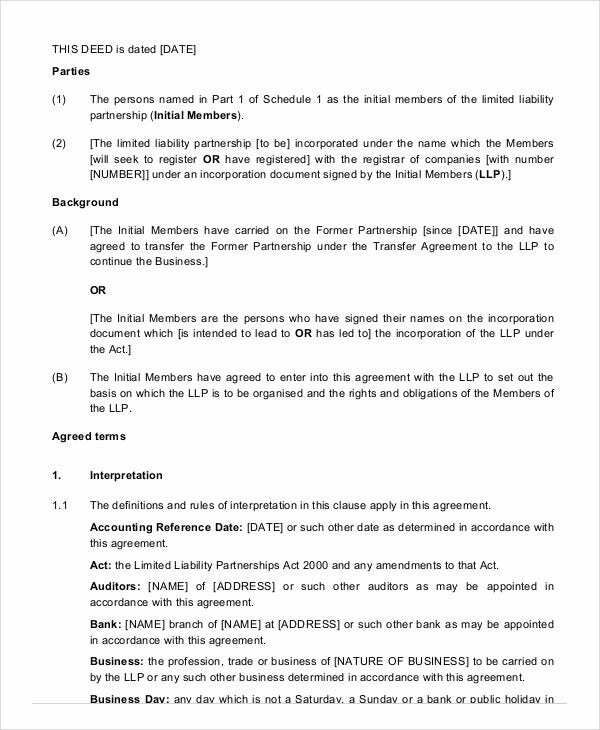 Formation of the partnership agreement is considered as the primary process of setting up a business in partnership. 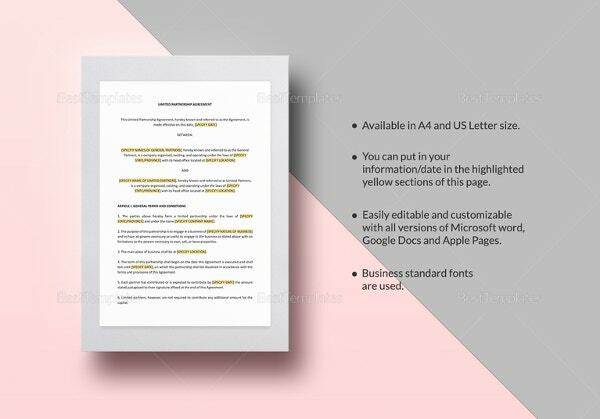 You can also see Non-Disclosure Agreement Templates. You can even opt for a partnership with a lesser known or unknown person. In such scenarios, you should create a partnership agreement to protect your as well as your partner’s rights. Opting for business in a partnership can be a blessing in disguise as some people have brilliant ideas while some other have money. A partnership agreement will help in combining them together. 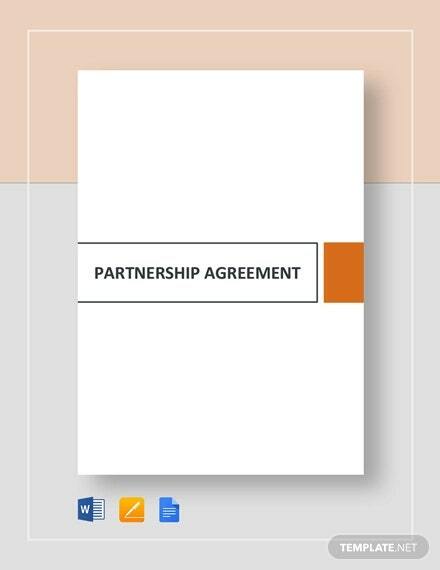 If you want to get into a partnership with another business, our Business Partnership Agreement Template will help you in creating a partnership agreement. This agreement can be customized to suit your requirements. 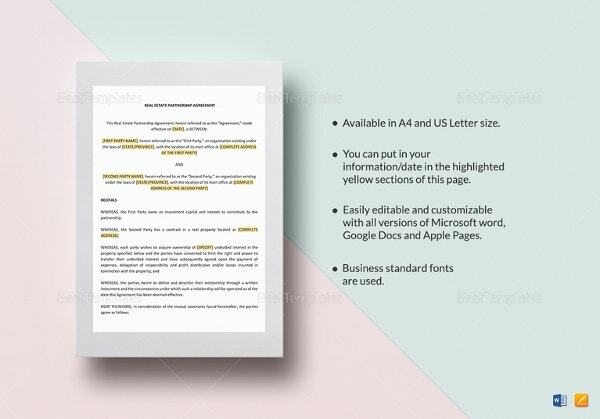 You can also see Confidentiality Agreement Templates. Creating a partnership agreement for your small-scale business can be a tiresome task. 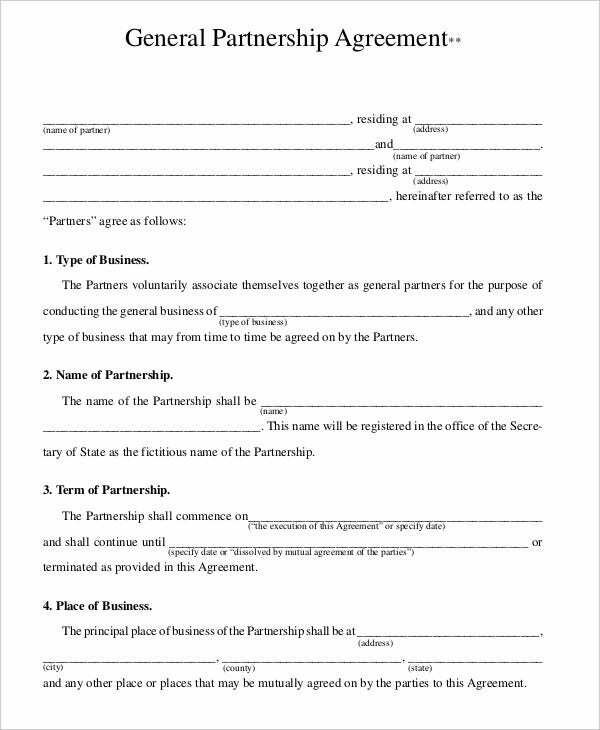 And to make it simpler, we have brought to you this Sample Small Business Partnership Agreement Template. You can use it to best effect for your business needs. 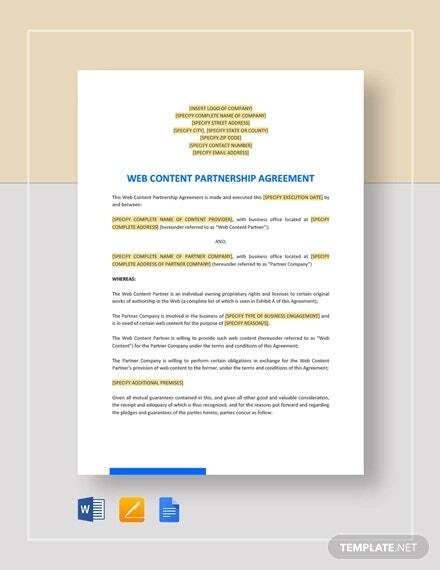 > How Can You Create A Partnership Agreement Using These Templates? 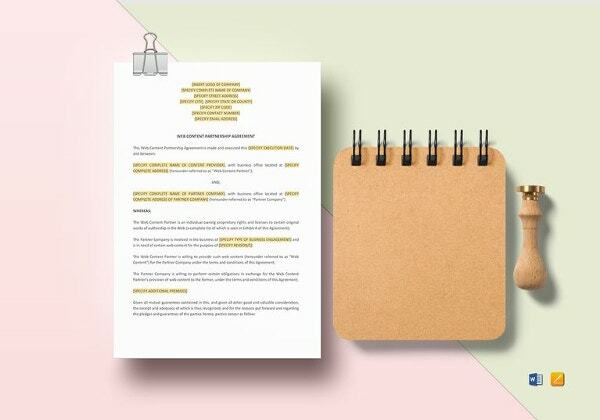 Crafting a partnership agreement is a critical task and it can be very tough if you are no well-acquainted with the legal terms of the agreement. A partnership agreement must include a lot of crucial things. From the terms and conditions to the other various significant details of the business like profitability sharing conditions, all such details should be mentioned with precision. 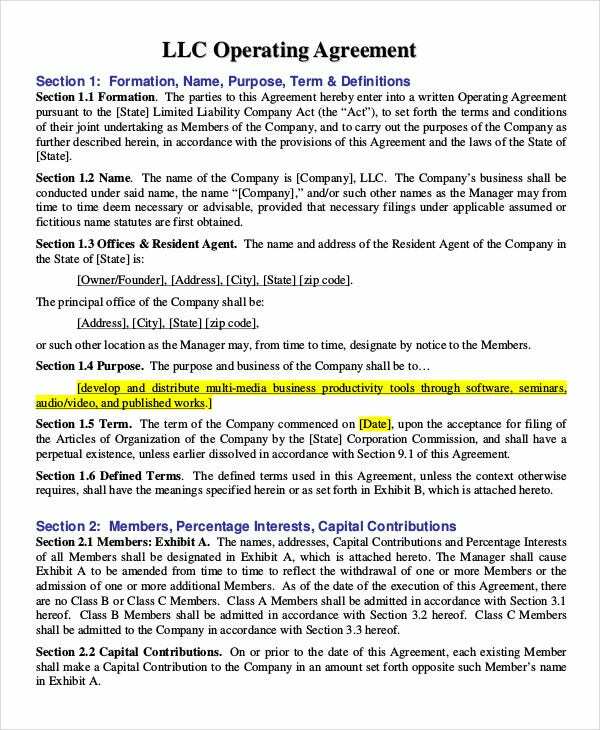 You can also see Purchase Agreement Templates. 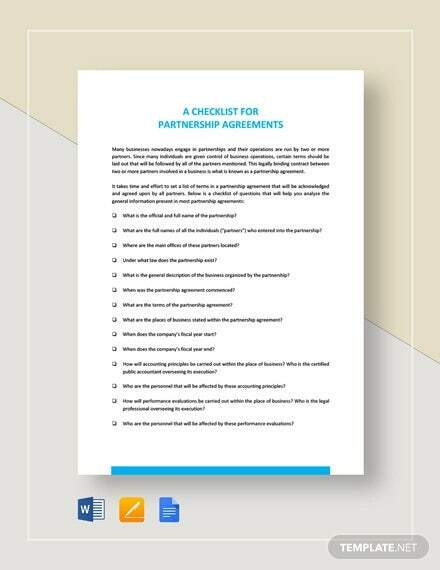 These templates will help you out in creating a partnership agreement in a hassle free manner. Download these templates, make the necessary changes as per your business need and you can take print out. You can also check the Confidentiality Agreements. 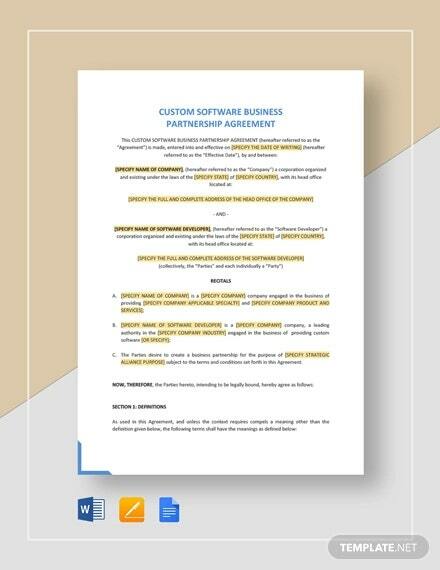 We have an amazing collection of partnership agreement templates to cater to your various business requirements. 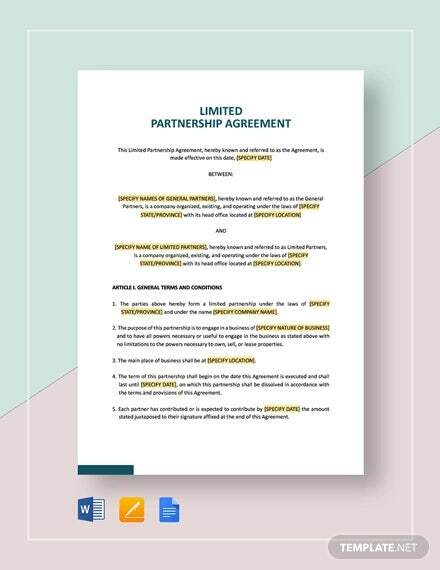 Before opting for any such partnership agreement, you should go through these templates in a detailed manner to get a clear idea about the criticality of the various terms and conditions. And then, you can select the best template that suits your requirement to the fullest.